Introducing Vellum - beautiful free hand-picked wallpapers for the iPhone. With hundreds of stunning images included in the app, you can change your look every day of the year. With new packs arriving regularly and a brand new wallpaper every day, this is the only wallpaper app you'll ever need. We've sorted through thousands of images and created breathtaking images in-house to deliver the very best high-quality wallpapers for the iPhone. Beauty is something we're very passionate about. Create a blurred background easily with our wallpapers using our blur tool. The aesthetic of a complementary gradient on your home screen is a welcomed addition. A brand new limited wallpaper every day of the year! Each wallpaper is available for one day only. Missed a day? 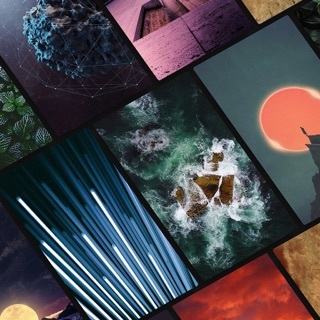 With Vellum Premium, you have access the last four weeks of the daily wallpapers! Updated UI & Preview screens for iPhone Xs, Xs Max, and Xr. Updated some other UI elements. If you haven't viewed the new Limited Edition Fall pack (added this week) or Aeforia's Wallpaper pack, check them out! Added "What's New" section in settings for announcements for new packs, and updates to existing packs. Added "Tutorials" section in settings. Added social icons in settings. Check us out! Fixed some bugs and improved some functionality. Thanks so much for downloading Vellum! We love hearing how we’ve helped make your screen prettier! Be sure to turn your push notifications on in the app for when we drop new packs, and follow us on Instagram @getvellum to get a preview of the Daily Wallpaper. I’ve already paid for the premium feature. And I accidentally uninstalled the app and it’s telling me to pay again. Amazing app!! One of a best ! Remove Ads. Last 4 weeks of Daily Wallpapers.